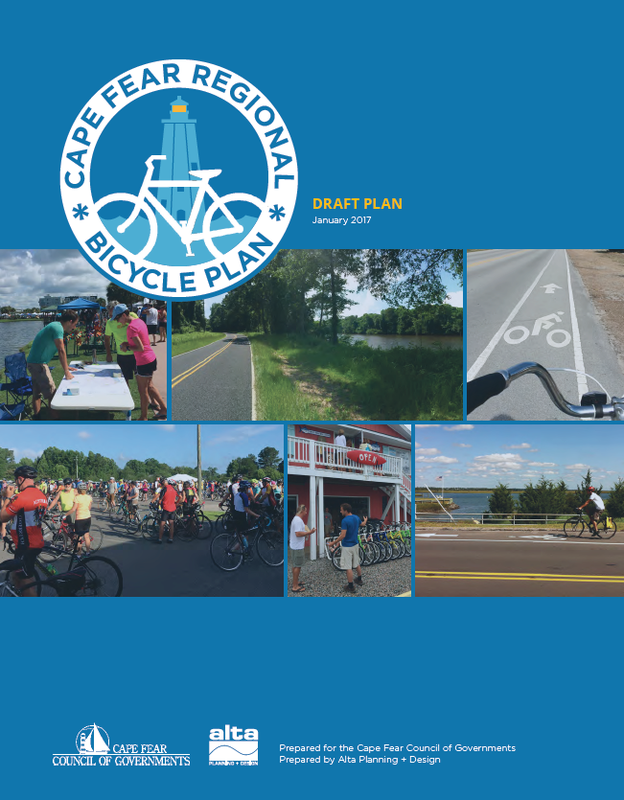 We are pleased to announce that the final draft of the Cape Fear Regional Bicycle Plan is now available. Please use the link below to download the final plan PDFs. ​The map linked below was generated using roadway data such as traffic volumes, roadway widths, and other factors to begin defining suitability for bicycling. This data, however, only tells part of the story. Please review and comment on this map, based on your own knowledge of riding conditions in the area. The goal is to eventually use this data to show bicyclists a level of comfort that can be expected when riding different roadways in the Cape Fear Region today. Please review and add your comments to help make it as accurate as it can be. Please reference draft plan page numbers or chapters as necessary. Please leave your name if you require a response. Please leave your email address if you require a response.